This hall stand is adjustable in height to fit any personalised design. Plus, it doubles as a 3-tier shoe rack. The assembly might take you a good while. The HapilifeDT40N is a perfect choice if you need a durable rack for lots of clothes, shoes, and other entryway essentials. It will be an excellent addition to your interior. You can fold in the hooks when the rack isn't in use. 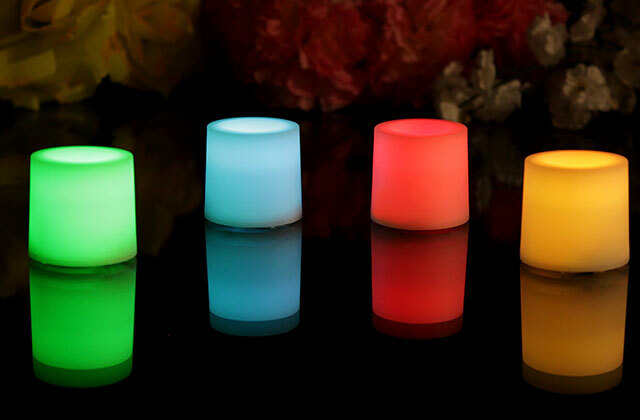 It's available in 7 different colours and 3-, 5-, or 8-hook design to suit any interior. The drilling template might be a bit inaccurate. The 11 hooks are placed on 3 different tiers. The top level is designed especially for umbrellas and other accessories. The bottom legs take too much space. 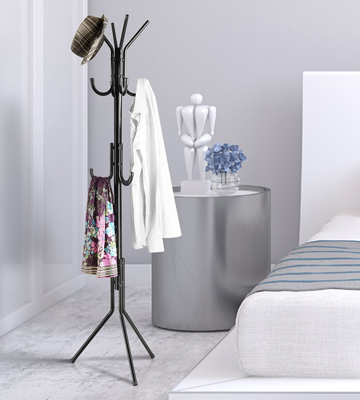 The LANGRIA 3-Tier hall stand is a great choice for contemporary-style interiors. 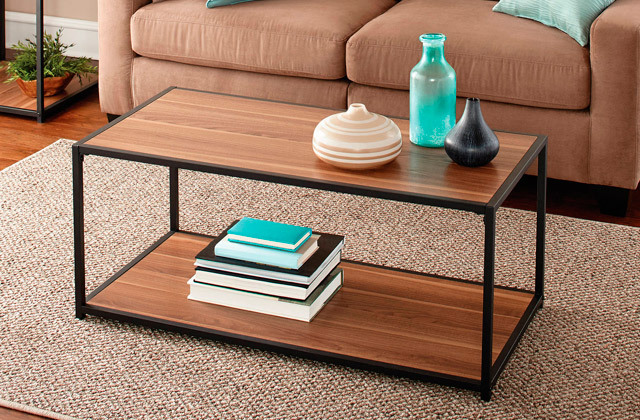 Sleek and modern, it will add a chic touch to your entryway. 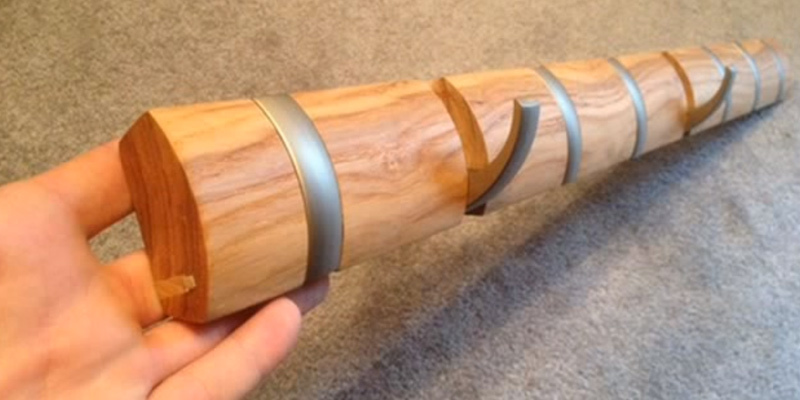 The rack is made of high-quality birch and poplar wood. This material is all-natural and eco-friendly. The stand might fall over if you don't hang clothes evenly. Elegant and smooth lines, along with the carving on the base, give this rack a luxurious look. It's a good choice both for homes and for restaurants. This mini wall hanger can accommodate not only clothes but keys and other small accessories as well. The base is lacking in quality. 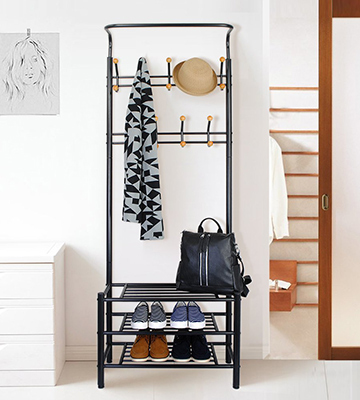 If floor space is an issue, this rack from DOKEHOM is an optimal choice for you. It's pretty small but can hold lots of garments and accessories. If you often throw big parties, the DT40N coat hanger from Hapilife is a perfect way to organize your guests' garments and accessories neatly. Even when fully loaded, this rack will be extremely stable. 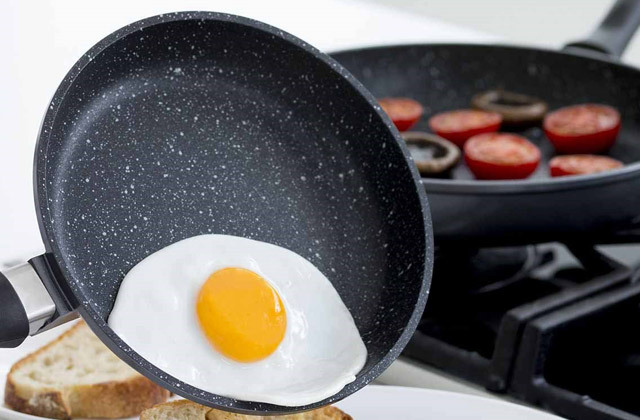 It is made of durable stainless steel and can withstand loads of up to 80 kg. The hall stand has lots of smooth hooks to easily accommodate jackets, coats, hats, and heavy winter clothes and accessories. The stand can double as a shoe rack as it features a 3-tier shoe section at the bottom. It's pretty solid and robust. You can put your shopping bags on the top shelf and even seat nearby to take off your shoes. Given such multipurpose design, the DT40N combined rack is still very compact and slots nicely into an alcove. It has a sleek finish and will blend beautifully into any hall. The manufacturer provides three colour options to choose from: White, Black, and Silver. Perhaps, this is one of the most versatile models in our review. Owing to a variety of finish options and matte flip down hooks, it has a sleek modern look and can be installed literally anywhere. For example, you can mount a deep espresso rack on your entryway wall, choose a mint option for the nursery, and natural white for the bathroom. 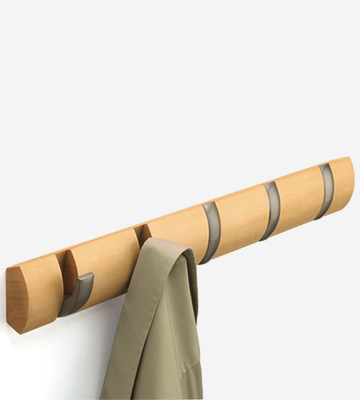 Undoubtedly, the zest of the Umbra rack is its flip-down hooks that you can fold in when they are not in use. Although the rack is small enough, and the hooks might seem a bit fragile, don't rush to conclusions. The hooks are very durable and can hold up wet towels, clothes, and even multiple heavy winter coats. The rack is available with 3, 5, or 8 hooks in total, and it's a pretty nice idea to buy different ones and mount them all around your house. A 3-hook rack on a kitchen wall will work perfectly for oven gloves and kitchen towels, 5 hooks in a bathroom will work well for clothes, bathrobes, and towels, and an 8-hook model will help you conveniently organize your and your guests' outer garments. 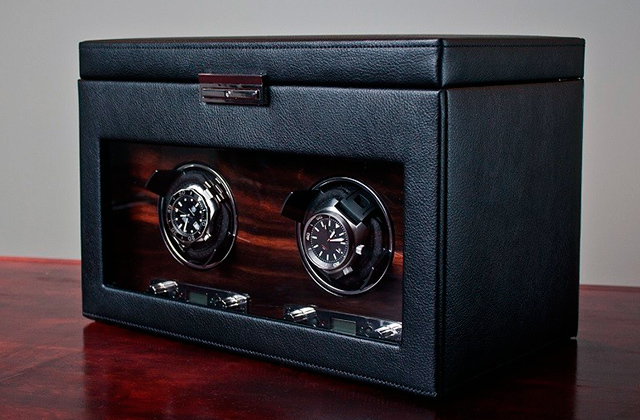 The Umbra rack looks very expensive and classy! 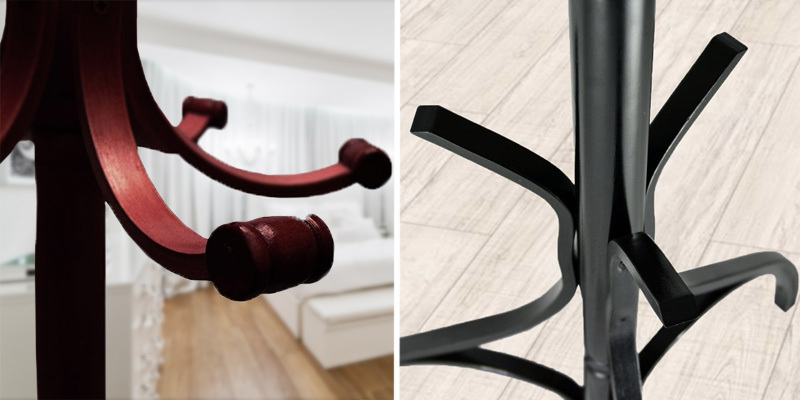 This Langria stand has a simple and straightforward design, meaning it's a wonderful option for most contemporary-style interiors. The model is available in classy White and Black colours. The rack is varnished and looks really sleek. Plenty of hooks are arranged on three levels. 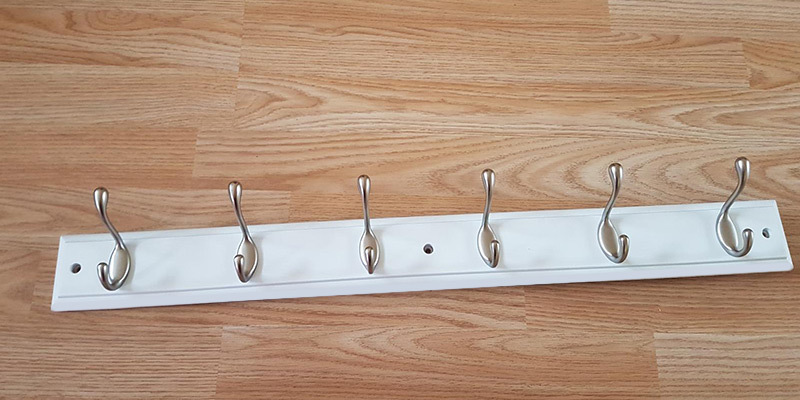 The bottom hooks are very convenient for umbrellas or scarves, while the middle level is designed for outer clothing such as jackets, coats, shirts, etc. As for the top tier, it's perfect for hats, caps and other accessories. To protect your clothing from tearing or slipping, the hooks are equipped with rubber end caps. 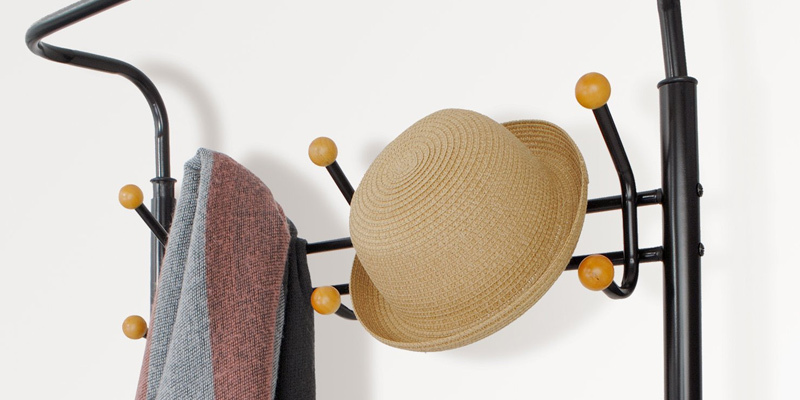 The height of the hanger makes 173 cm, so even children will be able to get a hat from the upper tier (an 180-cm option with 12 hooks is also available). Overall, this rack is quite stable, easy to put together, and doesn't take up much space. You can tuck it into a tight corner or install in a narrow hall. 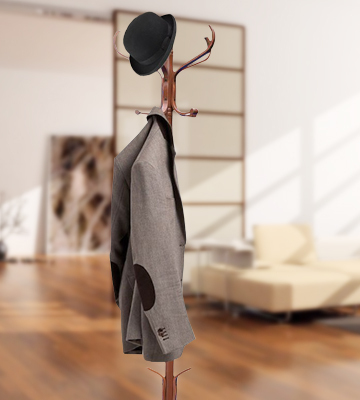 The Home Discount® Coat Stand is beautiful in its simplicity. The rack is great for large classic-style entryways. 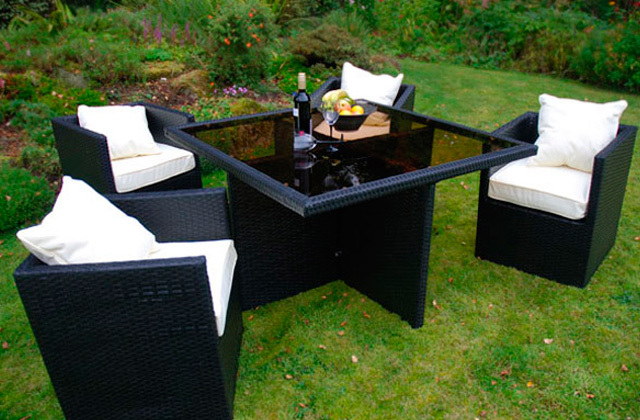 It's manufactured from natural birch and poplar wood and is offered in 6 designs. The elegant and smooth lines in combination with wood-carving give it a truly classy look. Therefore, it can be not only purchased for homes and flats but also installed in a luxurious restaurant to enhance its look. The product comes disassembled, but it's very easy to put together. The stand is equipped with two tiers of 10 hooks in total. The upper level is great for hats and other similar accessories, while the lower one is best for outwear. 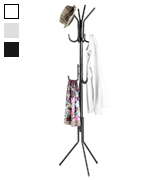 The hanger is 182-cm tall, which makes it suitable for long coats. The only slight drawback is that the wooden construction is pretty lightweight and not that stable. 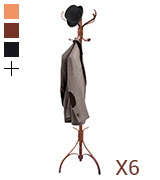 So, you should make sure that all your garments are balanced evenly, otherwise, the stand might fall over. 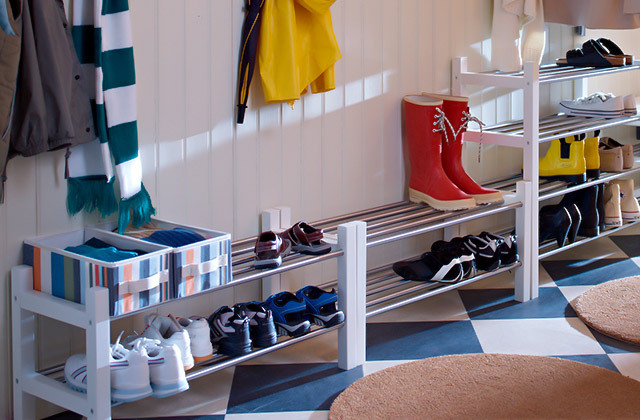 The DOKEHOM DKH0116NWM is a must for small entryways where the floor space is an issue. It can free up some hanging space in your wardrobe and prevent you from messes. 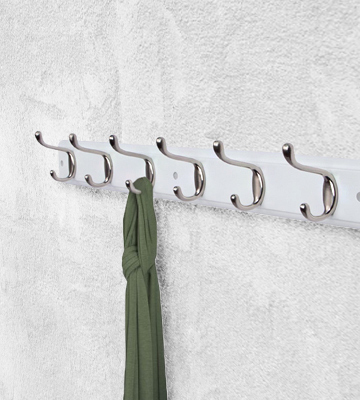 The hanger has a nice wood backing with 6 hooks - they are made of stainless steel and finished in Satin Chrome or Nickel. The hooks are very durable and look nice. The manufacturer offers the product in 4 different colours (Black, Natural Beech, Natural Pine, White) to match any interior. 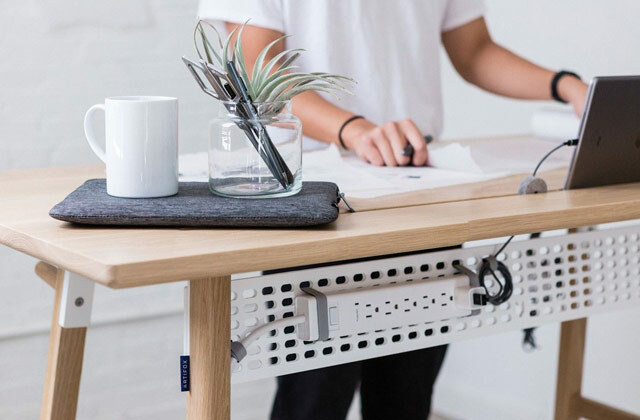 Overall, the rack is well-built and easy to install. It comes with all required hardware, and the assembly will take you no more than 20 minutes. 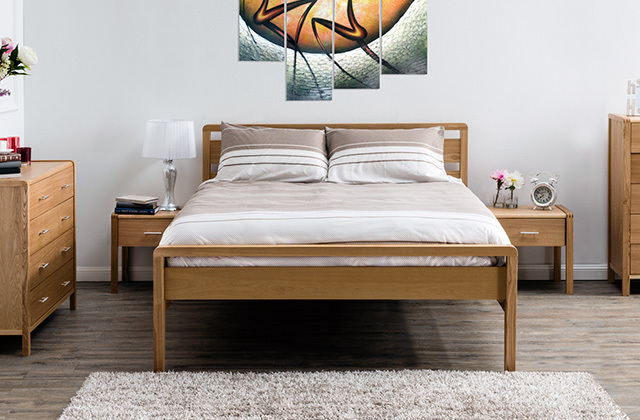 At 68.5 x 9.5 x 7.5 cm, this classy hanger can be mounted just anywhere on a flat wall. 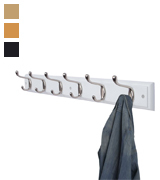 The spacing between hooks is perfect to let you hang long winter coats or other bulky outwear. 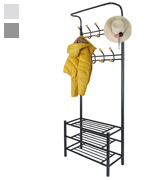 It might seem that the rack is rather small, but six hooks offer space for up to 12 garments and other accessories. What is a Coat Rack? 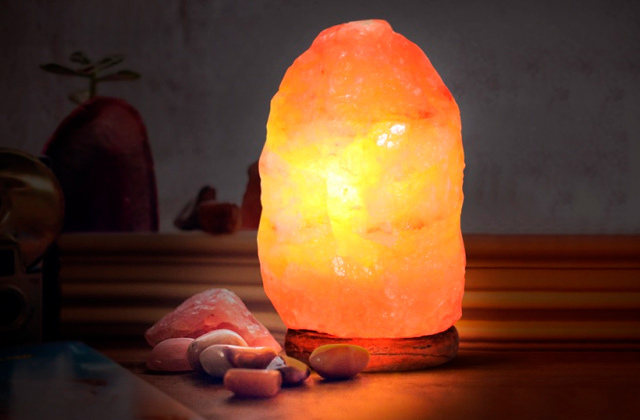 A door chime or bell can meet your guests with a cheerful melody, while a lava or salt lamp on your coffee table will show that you capture the style that is all the rage now! 1. 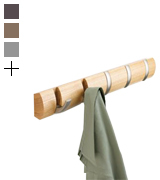 Coat Rack Buying Guide, eBay. March 7, 2016. 2. 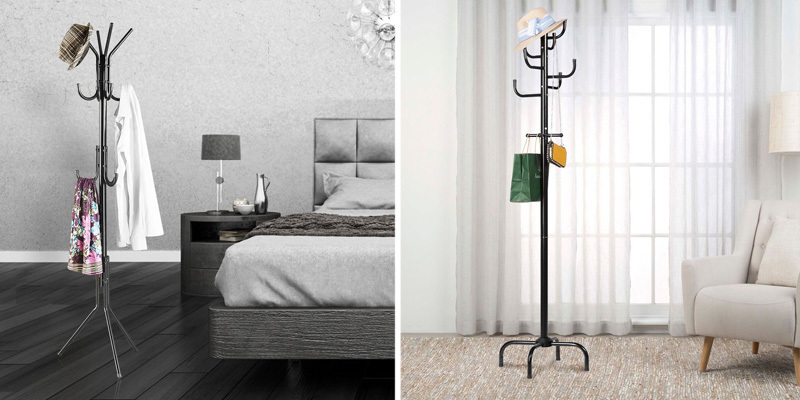 Coat Rack Buyers Guide, ATGStores. 3. Jan Czech How to Decorate a Hat/Coat Rack, SFGate. 4. 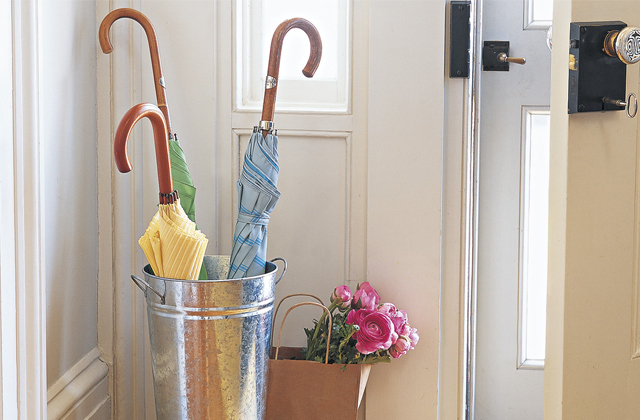 Lygeia Grace How to Organize the Entryway, Real Simple.